A Globe of Witnesses - An online initiative to reclaim the Anglican vocation of doing "public theology" through progressive analysis and commentary from around the world. Also, see The Witness magazine, including back issues. Academic Jewish Studies Internet Directory - Gateway to 299 high quality resources for the study of Judaism, including access to online library catalogs and to databases like RAMBI -Index of Articles in Jewish Studies. Access to Insight - Readings in Theravada Buddhism. Adherants - Membership/adherent statistics and congregation statistics for over 4,000 religions, churches, denominations, religious bodies, faith groups, tribes, cultures, movements, ultimate concerns. Adventist Church - Adventists base their faith in God as revealed through Jesus Christ and as shown through the Bible, inspired by the Holy Spirit. Agnosticism/Atheism - What is atheism? What is theism? What is the difference between belief and disbelief? Is atheism anti-religion? Who has the burden of proof in debates? Is atheism morally and intellectually significant? American Atheists - State-church separation issues, atheist philosophy, atheistic. perspectives. Atheist Community of Austin - Oganized as a nonprofit educational corporation to develop and support the atheist community, to provide opportunities for socializing and friendship, to promote secular viewpoints, to encourage positive atheist culture, to defend the first amendment principle of state-church separation, to oppose discrimination against atheists and to work with other organizations in pursuit of common goals. Also see The Atheist Experience blog. Atheist Experience TV Show - A weekly cable access television show in Austin, Texas geared at a non-atheist audience. Every week it fields live calls from atheists and believers alike, and you never know what you're going to get. Free Inquiry - Edited by philosopher Paul Kurtz, Free Inquiry presents scholarly and popular articles relating to secular humanism, atheism, church-state separation, and issues affecting the rights of religious minorities. Freedom from Religion Foundation - A national association of nontheists working since 1978 to promote freethought and defend the constitutional principle of the separation of state and church. Iron Chariots - Provides information on apologetics and counter-apologetics. Collects common arguments, then provides responses, information and resources to counter the glut of misinformation masquerading as evidence for religious claims. Richard Dawkins - Dawkins, the celebrated evolutionary biologist, Oxford Professor, and author (The Selfish Gene, The Blind Watchmaker, A Devil's Chaplain, The Ancestor's Tale), gives us a carefully-reasoned yet entertaining treatise on atheism that is equally eloquent and provocative. His basic argument is that the collective irrational belief in The God Hypothesis is not only wrong ("intellectual high treason"), but pernicious in its resulting intolerance, oppression, bigotry, arrogance, child abuse, homophobia, abortion-clinic bombings, cruelties to women, war, suicide bombers, and educational systems that teach ignorance when it comes to math and science. TalkOrigins Archive - Exploring the creation/evolution controversy. Aish - One stop for everything Jewish: Jewish Holidays, Israel News, Holocaust Studies, Jewish Spirituality, Weekly Torah Portion, Western Wall Camera, Parenting, Dating, Marriage, Bar Mitzvah, Shabbat, and more. Albert Schweitzer Page, The - This page is about Dr. Albert Schweitzer, the humanitarian, theologian, missionary, organist, and medical doctor. It contains reviews of books by and about Dr. Schweitzer and a comprehensive listing of pointers to related sites. Al-Islam - Islamic resources provided by the Ahlul Bayt Digital Islamic Library Project. Also see A Shi'ite Encyclopedia. America Magazine (USA) - A weekly magazine for thinking Catholics published by Jesuits. American Academy of Religion (AAR) - Provides a major publishing program, grants and awards, professional services, an annual North American meeting and ten regional meetings through which it serves its members and the advancement of the field. Members are largely faculty and graduate students at colleges, universities, and divinity schools in North America, with a growing percentage located at institutions of higher education in Asia, Africa, and Europe. American Catholic - Saint of the Day, daily meditations, Catholic news and information, prayer requests, St. Anthony Messenger - a Roman Catholic Web site from the Franciscans. American Religion Data Archive (ARDA) - The ARDA solicits data collections on American religion that are currently not stored in a public archive. Most of its data files are from surveys. The Archive is located in the Department of Sociology and Anthropology at Purdue University. Americans United for Separation of Church and State - Advocates for separation of church and state in the U.S.
Anglicans Online - Comprehensive and up-to-date listing of Anglican-related resources. Anne Catherine Emmerich - An Augustinian nun, stigmatic, and ecstatic, born 8 September, 1774, at Flamsche, near Coesfeld, in the Diocese of Munster, Westphalia, Germany; died at Dulmen, 9 February, 1824. Catholic Encyclopedia article. Annual Report on International Religious Freedom - This report, published by the U.S. Depatment of State, seeks to shed light in those parts of the world where religious persecution is perpetrated, and by that light to impede its progress. Apocalypse - Traces the evolution of apocalyptic belief throughout the ages-from its origin in the Jewish experience after the Babylonian exile to its diverse and often tumultuous expression in modern times. Originally aired on PBS Frontline 11/22/99. Related: See Forcing the End: Why do a Pentecostal cattle breeder from Mississippi and an Orthodox rabbi from Jerusalem believe that a red heifer can change the world? by Lawrence Wright. Archbishop of Canterbury - Officail UK site. Biographical information on Archbishop Williams, sermons, speeches and papers, press releases. A listing of previous archbishops and the roles of the Archbishop of Canterbury. A guide to Lambeth Palace and information about the Lambeth Palace Library. Articles Concerning Christian or Religious Subjects - Maintained by Auburn University. Ash Wednesday - The Wednesday after Quinquagesima Sunday, which is the first day of the Lenten fast. Catholic Encyclopedia article. Association for the Rights of Catholics in the Church (ARCC) - ARCC seeks to bring about substantive structural change in the Catholic Church, ARCC seeks to institutionalize a collegial understanding of Church in which decision-making is shared and accountability is realized among Catholics of every kind and condition. It affirms that there are fundamental rights which are rooted in the humanity and baptism of all Catholics. To this end ARCC developed and works to implement a Charter of the Rights of Catholics in the Church and a Proposed Catholic Constitution. The ARCC was founded in 1980 by lay and clerical Catholics in the wake of Vatican condemnations of such theologians as Edward Schillebeeckx, Jacques Pohier, and Hans Kung. Also see Links page. Association of Christian Librarians (ACL) - An organization of evangelical Christian academic librarians that promotes the professional and spiritual growth of its members and provides service to the academic library community worldwide. American Atheists - Educational organization for atheists. Aristotle, et al. - Readings for philosophers and Catholics. Ash Wednesday - Ash Wednesday, in the calendar of Western Christianity, is the first day of Lent and occurs 46 days before Easter. It is a moveable fast, falling on a different date each year because it is dependent on the date of Easter. It can occur as early as February 4 or as late as March 10. According to the canonical gospels of Matthew, Mark and Luke, Jesus spent 40 days fasting in the desert before the beginning of his public ministry, during which he endured temptation by Satan. Ash Wednesday marks the beginning of this 40-day liturgical period of prayer and fasting. Australian EJournal of Theology - A peer-reviewed, interdisciplinary Ejournal sponsored by the National School of Theology and the Institute of Theology, Philosophy and Religious Education at Australian Catholic University. Bahá'í World - Official site of the Bahá'í Faith, the youngest of the world's independent religions. Its founder, Bahá'u'lláh (1817-1892), is regarded by Bahá'ís as the most recent in the line of Messengers of God that stretches back beyond recorded time and that includes Abraham, Moses, Buddha, Zoroaster, Christ and Muhammad. At the heart of its belief is the conviction that humanity is a single people with a common destiny. Barna Group - Through its five divisions, The Barna Group provides primary research (The Barna Research Group); communications tools (BarnaFilms); printed resources (BarnaBooks); leadership development for young people (The Josiah Corps); and church facilitation and enhancement (Transformation Church Network). The ultimate aim of the firm is to partner with Christian ministries and individuals to be a catalyst in moral and spiritual transformation in the United States. It accomplishes these outcomes by providing vision, information, evaluation and resources through a network of intimate partnerships. Among its strategic partners are Church Communication Network, EMI Christian Music Group, Filmdisc, HollywoodJesus.com, Kingdom Inc., and Tyndale House Publishers. BBCi Religion and Ethics - Information about the UK's religions, daily news, audio on demand and the best of the BBC's religious programming: Atheism, Islam, prophet Muhammad, Muslim, Baha'i, Bahai, Judaism, Jewish, Buddhism, Siddartha Gautama, Mormon, Christianity, Christian, Jesus Christ, Sikhism, Hinduism, Guru Nanak, Paganism, pagan, Muslim, religion communities, Eastern religions. Beliefnet - Explores various religions and faiths, including Buddhism, Chrisitanity, Hinduism Islam, Judaism, Spirituality and more. Berkeley Fellowship of Unitarian Universalists (BFUU) - A progressive spiritual community with a long-standing commitment to social justice. Campaigns include promoting inclusion and diversity, international solidarity, environmental stewardship, ending corporate rule, fair labor practices, homeless people's rights and dignity, repealing the death penalty, stopping modern-day slavery and human trafficking, and promoting peace, democracy, and human rights in the US and abroad. Bible and Critical Theory, The - A journal publishing peer-reviewed articles that investigate the contributions from critical theory to biblical studies, and contributions from biblical studies to critical theory. It also has an active series of book reviews, published as they are ready. Bible and Interpretation - Latest news, features, editorials, commentary, archaeological interpretation and excavations relevant to the study of the Bible for the public and biblical scholars. Also see extensive related historical, archaeological, museum and other links concerning the bible. BibleGateway - A tool for reading and researching scripture online - all in the language or translation of your choice. Also, view a complete list of available Bible versions and translations. BiblePlaces - Photographs and descriptions of sites in Israel, Jordan, Egypt, Turkey and Greece with an emphasis on biblical archaeology, geography and history. BibleStudyTools - Bible study tools, devotionals, ministry audio, and worship center. Biblical and Religious Art and Music - Educational resources. Biblical Resources - Home page of Felix Just, S.J., Adjunct Professor, Dept. of Theological Studies, Loyola Marymount. These webpages contain materials, mostly related to biblical studies, intended for scholars, teachers, students, and others. Billy Graham Evangelical Association (BGEA) - BGEA conducts dozens of major crusades and evangelistic rallies in North America and around the world, calling upon men and women to repent of their sins and receive the Lord Jesus Christ into their hearts by faith. BishopAccountability.org - Documenting the Catholic sexual abuse and financial crisis. Follow AbuseTracker. BishopBhai.org (U.S. and India) - Tribute to Archbishop Leobard D'Souza (known as Bishop Bhai) of Nagpur, India, and extensive collection of Bishop Bha's homilies and articles. Blogging the Bible - David Plotz, Slate's Deputy Editor, reads the Bible and shares his thoughts. Book of Mormon - A colored photographic facsimile reprint of the original first edition. Book of Revelation, Apocalyptic Literature, and Millennial Movements - Materials and links related to the Book of Revelation and other Apocalyptic Literature. BuddhaNet - Buddhist information and education network. Also see the Buddhist Studies and the Buddhist Online Study Guide. Buddhist InfoWeb - Directory of lay and monastic Dharma centers, organizations, and practice groups. 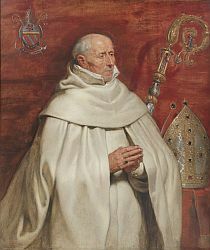 Bull 'Unam Sanctam' (1302) - In which Pope Boniface VIII asserted his rights against King Phillip the Fair of France, is a landmark in the history of the doctrine of Papal Primacy. Call to Action (USA) - An independent national organization of over 22,000 people and 40 local organizations who believe the Spirit of God is at work in the whole church, not just in its appointed leaders. We believe the entire Catholic church has the obligation of responding to the needs of the world and taking initiative in programs of peace and justice." The CTA front page features frequently updated and topical resources. Cambridge Digital Library - While parts of the Library's manuscript collections have already been published in print, microfilm and digital formats, it is now building a substantial online resource so that its collections will be more accessible to students, researchers and the wider public. The Foundations of Faith Collection will include important works from many religious traditions, particularly Judaism, Islam, Christianity and Buddhism. The Library's faith collections are breathtaking. They include some of the earliest Qur'anic fragments on parchment, the first known Qur'anic commentary written in Persian, an important selection of devotional works and mystical treatises and an outstanding collection of theological works including the unique extant copy of the Kitāb al-Tawhīd by al-Māturīdī. The Library has a collection of over 1000 manuscripts in Hebrew covering a wide range of texts; Bibles, commentaries, liturgy, philosophy, kabbalah, literature and legal documents. Most of these are in codex form thought there are also scrolls and fragments; some date back to the earliest collections in the Library. The oldest manuscript in the collection is a copy of the Ten Commandments written on papyrus, and thought to date from the 2nd century B.C. The Library also holds the world's largest and most important collection of Jewish Genizah materials, including the Taylor-Schechter Genizah Collection - 193,000 fragments of manuscripts considered by many to be as significant as the Dead Sea Scrolls. Canon Law of the Catholic Church - The system of laws and legal principles made and enforced by the hierarchical authorities of the Church to regulate its external organization and government and to order and direct the activities of Catholics toward the mission of the Church. Also see the official Code of Canon Law. Cardinal Cormac Murphy-O'Connor - Spiritual reflections from the Cardinal Archbishop of Westminster. Catholic Church Documents Related to Biblical Studies - Compiled by Prof. Felix Just, S.J. - Loyola Marymount University. Catholic eBooks Project - Provides a library of links to Catholic Christian ebooks and e-texts that are "legal, free, and faithful" to the truths revealed by God to His Catholic Church. It also has a (much shorter) list of Catholic ebooks available online for Worth-It prices. Catholic Encyclopedia - Authoritative information on the entire cycle of Catholic interests, action and doctrine. Also, complete listing of popes. Catholic Hierarchy - Unofficial site providing current and historical information about its bishops and dioceses. Maintained by David M. Cheney. America Magazine - Catholic journal of news, analysis, and commentary. Catholic Worker - The Catholic Worker newspaper is not online. Subscription or copy requests must be sent by regular mail to The Catholic Worker, 36 East First Street, New York, NY 10003, United States. Phone: 212-777-9617. The newspaper was started by Dorothy Day herself in New York City in the 1930s'. The price has been and will remain a penny a copy, excluding mailing costs. It is issued seven times per year and a year's subscription is available for 25 cents (30 cents for foreign subscriptions), though all donations in excess of that amount go to the hospitality houses associated with the paper, Maryhouse and St. Joseph House. Catholic World Report - News magazine from an orthodox Catholic perspective. Commonweal - Providing debate on the interaction of faith with contemporary politics and culture. ALso see Commonweal Blog. Crisis Magazine - Owned and operated by Sophia Institute of Bedford, New Hampshire. Sophia Institute also serves as the publishing division of the Thomas More College of Liberal Arts (New Hampshire) and Holy Spirit College(Atlanta). First Things - Generally promotes the tenets of the Christian Right. Supported by right-wing foundations the Lynde and Harry Bradley Foundation, the Sarah Scaife Foundation, the John M. Olin Foundation, Castle Rock Foundation, and Carthage Foundation. National Catholic Register - Catholic news source. National Catholic Reporter - Independent journalistic outlet for Catholics and others. Headquartered in Kansas City, Missouri. New Liturgical Movement - Liturgical studies. Papal Encyclicals Online - Papal and other official documents of the Catholic Church. Pope Francis - Blog. Also see Twitter and YouTube. Traces - Articles on the life of the Church and cultural, social, and political topics, under the banner of ecumenism. Vatican (The Holy See) - Official site. Catholic Online - Provides five million pages of content including its historical and biblical database about the Catholic Church, comprehensive information about over 15,000 Catholic saints, and scriptures from all books of the Old and New Testament. Catholic Theological Union (CTU) - A graduate school of theology and ministry in Chicago, Illinois. Catholic Traditionalist Movement (CTM) - "Ever since 1968 when, as a result of erroneous interpretations and implementations of the Second Vatican Council's decisions, the centuries-old Sacrifice of the Mass became threatened with extinction, the C.T.M., as the Movement is commonly known, has concentrated its efforts on the maintaining of the completely unchanged Latin Roman Catholic Mass, sometimes called the "Tridentine" Mass, as ordered "in perpetuity" by St. Pope Pius V in l570." Also see the CTM's Charter - The Catholic Traditionalist Manifesto. Catholic Worker Movement - Short essays on the movement, biographical sketches of Peter Maurin and Dorothy Day, as well as highlights of the movement's history, religious and philosophical ideas. Also see Biographies of Dorothy Day, browse Dorothy Day's writings, or search Dorothy Day's writings. Catholics for a Changing Church (UK) - "To encourage sharing of responsibility while supporting individuals and small Christian groups. To watch and comment on the workings of the Church, urging it to change internally in its structures and attitudes, and in its service to the world, particularly to the poor and the oppressed and to God's creation. To strive for honesty, justice and integrity in the Church, to enable it to present the Gospel more effectively in the modern world." Center for Christian-Jewish Understanding: Documents and Statements - Collection of "the principal documents and statements available in English that have helped to chart and mark the direction and discussions of Christian-Jewish understanding and relations since the Second World War. Also included are a few Jewish-Christian-Muslim documents." Provides documents including the Balfour Declaration (1917), Roman Catholic statements, Protestant documents, and Jewish-Christian documents such as The Vatican and the Holocaust, A Preliminary Report (2000). From Sacred Heart University. Center for Muslim-Jewish Engagement (CMJE) - CMJE provides resources, experience and expertise to enhance the understanding of Muslims and Jews about each other's faiths, as well as increase their ability to engage with each on issues of mutual importance. Center for the Study of New Testament Manuscripts (CSNTM) - Makes digital photographs of extant Greek New Testament manuscripts so that such images can be preserved, duplicated without deterioration, and accessed by scholars doing textual research. Publishes New Testament textual criticism. Also see Links page for additional online resources related to textual criticism. CESNUR (Center for Studies on New Religions) - Located in Torino, Italy. A large research facility on new religious movements, minority religions in general, and the occult. Chabad - Official homepage for worldwide Chabad-Lubavitch movement that promotes Judaism and provides daily Torah lectures and Jewish insights. Chabad-Lubavitch is a philosophy, a movement, and an organization. Chiesa (Italy) - English-language edition of news, analysis, and documents concerning the worldwide Catholic Church published by respected Roman journalist and Vatican observer Sandro Magister. Christian Alliance for Progress - A national movement that started in Jacksonville, Florida among ordinary Americans who want to reclaim Christianity and change this current political picture. Members in the movement want to restore core values of Christianity while honoring diverse views about religion and Christian life. Christian Classics Etheral Library (CCEL) - Located at Clavin College, CCEL provides access through this site to public domain Christian works from a variety of viewpoints and traditions. Christian Iconography - Iconography, saints, hagiography, christian art. ChristianityToday - News, information, resources, several magazines, newsletters and journals. Christus Rex et Redemptor Mundi - Christus Rex is a private, non-profit organization which presents over 5000 images of religious works of art preserved in churches, cathedrals and monasteries all over the world. Church of Humanism - The Church of Humanism, based in New York City since 1973, in working for social justice and the human future on an international scale, is a response to that choice and that challenge. Its concept of Theocentric Humanism calls on us to become a part of nature's creative process by committing ourselves to love God and humanity, by striving to let reason and truth guide our understanding, and by acting in ways that enrich and enhance the future. This is the conceptual core of the Church of Humanism, a true religion for our time. Church of Jesus Christ of Latter-Day Saints - Official website: scriptures, general conference addresses, Church magazines, temple information, stake and ward websites. City of London Churches - The 'Square Mile' that constitutes the city of London is a world financial centre where 300,000 people work and nearly 500 foreign banks have an office. Less well known is that amongst the largely uninspired office blocks are hidden around 50 current or former churches and other places of worship, either complete, converted into offices, or in ruins. Claretians, The - A Roman Catholic religious community of priests and brothers. Dedicated to the mission of living and spreading the Gospel of Jesus. Its ministries are devoted to social concerns and issues of justice and peace in parishes, foreign missions, and publishing. They are committed to reaching out to young people in the inner city, on college campuses, and through the Claretian Volunteer and Claretian Summer Ministry programs. Clergy Project, The - A confidential online community for active and former clergy who do not hold supernatural beliefs. The community's 300 plus members use it to network and discuss what it's like being an unbelieving leader in a religious community. The Clergy Project's goal is to support members as they move beyond faith. Commonweal (USA) - Independent journal of opinion edited and managed by lay Catholics. Congregation Emanu-El - Dedicated in April 1926, the Jewish temple at 2 Lake Street and Arguello Boulevard in San Francisco is the third site of this congregation. Designed primarily by Arthur Brown, Jr. (designer of the War Memorial Opera House, the Hoover Library at Stanford and, with two others, the San Francisco-Oakland Bay Bridge) the building was influenced by the Haggia Sophia in Istanbul. From the exterior of the dome (150 feet) to the four-manual Skinner organ to the nine-foot high jewel box which is the Ark itself, the Main Sanctuary is a place of dignity, power and peace. In 1927, the American Institute of Architects selected Temple Emanu-El as the finest piece of architecture in Northern California. Congregation for the Doctrine of the Faith - Founded in 1542 by Pope Paul III with the Constitution "Licet ab initio," the Congregation for the Doctrine of the Faith was originally called the Sacred Congregation of the Universal Inquisition as its duty was to defend the Church from heresy. It is the oldest of the Curia's nine congregations. The Congregation promotes encounters and initiatives to "spread sound doctrine and defend those points of Christian tradition which seem in danger because of new and unacceptable doctrines." Council for a Parliament of the World's Religions (CPWR) - Seeking to cultivate harmony among the world's religious and spiritual communities and foster their engagement with the world and its other guiding institutions in order to achieve a peaceful, just, and sustainable world. Council for Secular Humanism - Cultivates rational inquiry, ethical values, and human development through the advancement of secular humanism. Sponsors publications, programs, and organizes meetings and other group activities. Publisher of Free Inquiry. Council of the Religious Institutions of the Holy Land (CRIHL) - Consultative body representing the highest official religious authorities in the Holy Land encompassing two peoples and three religions. Established to ensure the ongoing engagement of the leadership and representation of the official religious institutions of the Jewish, Christian and Muslim faith communities in the Holy Land. The Council issues public statements in response to events of a religious or interreligious nature, and members of the Council have intervened to help diffuse serious conflicts in the Holy Land. Council on American-Islamic Relations (CAIR) - A non-profit, grassroots membership organization. Council on American-Islamic Relations (CAIR): California Chapter - Works with media professionals around America to help shape a positive image of Islam. CAIR activists also monitor the local, national and international media to challenge negative stereotypes of Islam and Muslims. CrossLeft - A clearing-house and central hub for grassroots activism among progressive Christians. Creation Museum - The state-of-the-art fantasy 70,000 square foot museum brings the pages of the Bible to life, casting its mytholigical characters and animals in dynamic form and placing them in familiar setting. Creedopedia - An encyclopedic search engine on religion. Dead Sea Scrolls - The term "Dead Sea Scrolls" has become the standard designation for fragmentary mss. discovered in limestone caves carved out of cliffs along the wadis that descend through the Judean wilderness to the left bank of the Dead Sea. From David (10th c. BCE) to the bar Kochba revolt (135 CE), Jewish fugitives often found shelter in caves in this area. But except for a few scrolls found near Jericho in the 8th c. CE, public attention to texts discovered in the Judean wilderness is a phenomenon of the past half century. Manuscripts found in eleven caves within a few miles of ancient ruins on a plateau overlooking the mouth of Wadi Qumran have become the primary focus of an intense international scholarly debate related to the history of Judaism & the origins of Christianity. DharmaNet International - Gateway to Buddhism. Differences Between Shi'ite and Sunni Schools of Thought - Outlines the differences between different schools of Islam. Digital Quaker Collection (DQC) - The collection covers several centuries of Quaker literature. The collection include works written by men and women. The geographic range takes in England, Ireland, and America. One can find in this collection journals, histories, doctrinal works, letters, sermons, pamphlets, and proceedings. The Digital Quaker Collection represents a portion of the holdings of the Friends Collection of Lilly Library of Earlham. Directory of Religious Centers: The Pluralism Project - An extensive directory of over 3500 religious centers in the U.S. The directory does not include information on Christian or Jewish centers, as these can be readily found in local phonebooks. It does include listings for Buddhist, Hindu, Jain, and Zoroastrian Temples, as well as Baha'i and Pagan Centers, Islamic Centers and Masajid, Sikh Gurdwaras, and Tao Centers and Temples. Doctrinal Documents - Catholic doctrinal documents of the Congregation for the Doctrine of the Faith. Doctrinal Note On Some Questions Regarding the Participation of Catholics In Political Life - This Note is directed to the Bishops of the Catholic Church and, in a particular way, to Catholic politicians and all lay members of the faithful called to participate in the political life of democratic societies. Doctrine Of Discovery - Papal Bulls of the 15th century gave Christian explorers the right to claim lands they "discovered" and lay claim to those lands for their Christian Monarchs. Any land that was not inhabited by Christians was available to be "discovered", claimed, and exploited. If the "pagan" inhabitants could be converted, they might be spared. If not, they could be enslaved or killed. Dorothy Day and Catholic Worker Collection - The Marquette University Archives began to acquire the records of the Catholic Worker movement in 1962. The collection now comprises more than 200 cubic feet, including the personal papers of Dorothy Day, Peter Maurin, and others involved in the movement; records of past and present Catholic Worker communities; photographs; audio and video recordings of interviews, talks, television programs, and peace demonstrations; and a wide variety of publications. Although access to materials of a confidential nature has been restricted at the donors' request, most records are open to research use. Early Christian Writings - The purpose of this web site is to set out all of the Christian writings that are believed to have been written in the first and second centuries, as well as a few selected from the early third. Easter - An important annual religious feast in the Christian liturgical year. In Christian belief, Jesus was resurrected from the dead three days after his crucifixion. Many Christian denominations celebrate this resurrection on Easter Day or Easter Sunday (also Resurrection Day or Resurrection Sunday), two days after Good Friday. The chronology of his death and resurrection is variously interperated to be between 26 and 36 AD. Easton's Bible Dictionary - Easton's Bible Dictionary was authored by Matthew George Easton (1823-1894). In addition to his Bible dictionary, this Scottish Presbyterian's most significant literary achievements were his English translations of two of Franz Delitzsch's commentaries. As part of the Bible Study Tools Study Library, Easton's Bible Dictionary is linked to Torrey's New Topical Textbook, Baker's Evangelical Dictionary, Hitchcock's Bible Names, Smith's Bible Dictionary, and Nave's Topical Bible. Anytime a reference can be found in any of the other online tools a hyperlinked symbol will be placed next to the reference, allowing you to immediately jump to that resource and expand your study capabilities. Elie Wiesel Center for Judaic Studies (Boston University) - Provides currriculum in Jewish history, literature, and thought. Emmanuel Episcopal Church - Serves the urban community of greater Boston, Massachusetts, as a center for spiritual discovery and renewal. Explores Christian tradition and fosters inquiry through the celebration of liturgy, music, and the arts. Strives for justice and peace. Emmanuel Church welcomes all people without exception to our Eucharistic table. It honors individuals of every age, gender, ethnic heritage, sexual orientation, and religious background, and respects the dignity of every living being. Encyclopedia Mythica - Mythology, folklore, legend. Evangelical Lutheran Church in America (ELCA) - "A community of faith that shares a passion for making positive changes in the world. Our faith is built around a strong belief in God as made known to us in Jesus Christ. Through worship, service, and education, we practice our faith, grow our relationship with God and experience God's grace in our lives." Evangelical Press Association (EPA) - Embraces some 375 periodicals, organizations, and individual members. Its 250-plus periodical members have a combined circulation of more than 20 million readers. Evangelicals for Social Action - Evangelicals working together to challenge and equip the church to be agents of God's redemption and transformation in the world. Faith and Reason - PBS TV program. Faith Community of Saint Sabina - Chicago, Illinois. A Word-based, Bible teaching church that believes in the power of praise and worship. Purpose is to nurture and develop spiritually mature Christians who are trained leaders and who are not confined by the walls of the sanctuary, but can penetrate the world in order to present God's way of living as a divine option. Faithful Security - National religiious partnership on the nuclear weapons danger. Feldheim Publishers - Torah literature. Also see HaMafteach, a comprehensive alphabetical index to the Talmud - cataloging topics, terms, concepts, sages' sayings, parables, anecdotes. Findhorn Foundation - The educational and organisational cornerstone of the Findhorn Community. Seeks to develop new ways of living infused with spiritual value. The Findhorn Community was begun in 1962 by Peter and Eileen Caddy and Dorothy Maclean. All three had followed disciplined spiritual paths for many years and had been specifically trained to follow God's will. In 1972 the community was formally registered as a Scottish Charity under the name The Findhorn Foundation and in the 1970s and 80s grew to approximately 300 members. Also see the New Findhorn Association (NFA). Finding God in Cyberspace - Selective listing of Internet resources of interest to religious studies scholars. First Amendment Center: Religion Research Articles - History of religious liberty, Establishment Clause, Free Exercise Clause, religious liberty in public schools, Pledge of Alligiance, teaching religion, news. First Things - An interreligious, nonpartisan research and education institute whose purpose is to advance a religiously informed public philosophy for the ordering of society. First Congregational Church of Berkeley - Taking care of each other while leaving you free to wrestle theologically, think and exchange ideas and opinions. First Unitarian Universalist Society of San Francisco - Since 1850 our church has been a prophetic and progressive voice within San Francisco. It is a place where individuals are free to explore the ultimate questions in a community of other seekers and find their own answers. Some members are liberal Christians or Jews; others are humanists, agnostics, or Pagans; still others identify with Buddhism, Hinduism, Taoism, and other faith traditions. Members are straight and gay, couples and singles, young and old. All are bound together not by dogma, but rather by shared values, social concerns,and interests and by friendship. Five Gospels Parallels, The - Edited by John W. Marshall. 1996 - 2001, Department for the Study of Religion, University of Toronto. A teaching tool for introductory level classes in New Testament and Christian Origins. Friends Journal - Serving the Quaker community and the wider community of spiritual seekers through the publication of articles, poetry, letters, art, and news. Girardian Reflections on the Lectionary - An anthropology of the cross. Global Ethic Foundation - The question of a Global Ethic stems from Professor Hans Kung's book "Global Responsibility" (1990), which was first published in English in 1991. This book developed programmatically the idea that the religions of the world can make a contribution to the peace of humankind only if they reflect on those elements of an ethic which they already have in common: on a fundamental consensus on binding values, irrevocable standards and personal attitudes. Underlying the Global Ethic project is the basic conviction that there can be: 1) No peace among the nations without peace among the religions., 2) No peace among the religions without dialogue between the religions, 3) No dialogue between the religions without investigation of the foundations of the religions. Gnosis Archive, The - Gnostic scriptures. Offers a vast collection of primary texts and resources relating to Gnosticism and the Gnostic Tradition, both ancient and modern. Good Friday - A religious holiday observed primarily by Christians commemorating the crucifixion of Jesus Christ and his death at Calvary. The holiday is observed during Holy Week as part of the Paschal Triduum on the Friday preceding Easter Sunday, and may coincide with the Jewish observance of Passover. It is also known as Black Friday, Holy Friday, Great Friday, or Easter Friday, though the latter normally refers to the Friday in Easter week. Gospels - Presented by Wesley Center Online. Grace Cathedral, San Francisco - The Episcopal Cathedral of the Diocese of California, and an iconic house of prayer for all - locally, nationally and internationally. Grace Cathedral Episcopal Church serves is home to a vibrant, active and diverse San Francisco resident congregation. Information about Grace Cathedral's Congregation, Liturgical Guilds, Fellowship Groups, and Ministries. Liturgy and Service Times, Music at Grace Cathedral, and more. Greek Orthodox Archdiocese of America - Orthodoxy holds that the eternal truths of God's saving revelation in Jesus Christ are preserved in the living tradition of the Church under the guidance and inspiration of the Holy Spirit. The Holy Scriptures are at the heart of the tradition and the touchstone of the faith. Gutenberg Bible - The Gutenberg Bible was printed in Mainz around 1454-55. It is the first major book printed in the West. The British Library has two complete copies of the Gutenberg Bible and a small but important fragment of a third copy. Ten experts from Keio University in Tokyo and from NTT spent two weeks in The British Library creating digital images of the two Bibles and the other related items - reproduced here. Gutenberg Bible at the Ransom Center - The Gutenberg Bible, the first book printed with movable type, is one of the greatest treasures in the Ransom Center's collections. It was printed at Johann Gutenberg's shop in Mainz, Germany and completed in 1454 or 1455. The Center's Bible was acquired in 1978 and is one of only five complete examples in the United States. Gutenbergdigital - All 1282 pages of the vellum Gutenberg Bible are scanned at high resolution and processed for online presentation along with many other examples of European letterpress printing in an exhibition at the Pauliner Kirche. HaMafteach - A comprehensive alphabetical index to the Talmud, cataloging topics, terms, concepts, sages' sayings, parables, anecdotes. Hans Kung - Wikipedia entry. Swiss Roman Catholic theologian and author. Ordained in 1954, he became (1960) professor of theology at Tubingen University and later served (1962-65) as adviser to the Second Vatican Council. Having consistently criticized papal authority, he became the first major Roman Catholic theologian to reject the doctrine of papal infallibility in his book Infallible? An Inquiry (1971). In 1979 he was stripped of his right to teach as a Roman Catholic theologian. His other works include The Council in Action (tr. 1963), Structures of the Church (tr. 1966), Why Priests? (tr. 1972), Eternal Life? (tr. 1984), and Global Responsibility (tr. 1991). Hartford Institute for Religion Research - Social scientific religion research information. Heart and Soul - BBC World Service radio program explores religious belief and how it affects people's lives. Hebrew for Christians - Here you'll find basic information about the Hebrew alphabet, vowels, and Biblical Hebrew grammar so that you can better understand the Scriptures from a Hebraic point of view. Includes Hebrew audio. Additionally, the site provides information about common Hebrew blessings and Jewish prayers, the Hebrew Scriptures (Tanakh), the Jewish holidays, and weekly Torah portions from a Messianic point of view. The Hebrew Names of God, as well as an online glossary of Hebrew and Yiddish terms is also provided. Hindu Universe - Hindu resource center. Holy Grail, The - The name of a legendary sacred vessel, variously identified with the chalice of the Eucharist or the dish of the Pascal lamb, and the theme of a famous medieval cycle of romance. This webpage last updated on Wednesday, July 5, 2017 9:15 AM.